Thanksgiving is one of my favorite holidays, because it’s all about two of my most loved things: family and food. The actual Thanksgiving dinner is such a treat, but to be honest, I love the leftovers the day after (who am I kidding, sometimes that evening!) even more. In fact, getting creative with Thanksgiving leftovers has become a bit of a sport for me – I love the challenge of creating something delicious and new with them. 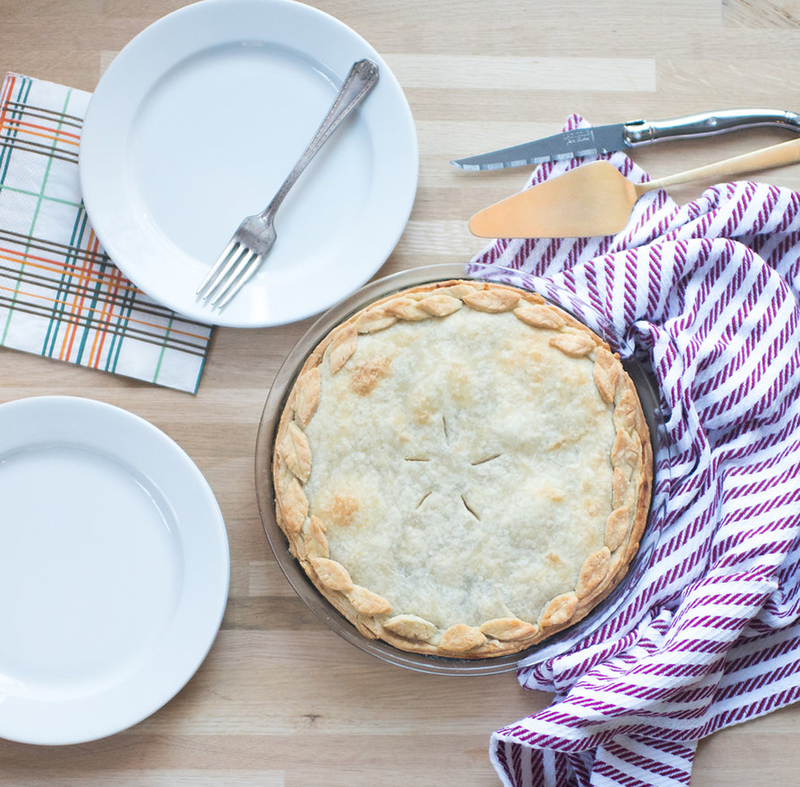 One of my favorite Thanksgiving leftover recipes is a fresh spin on a layered chicken pot pie. Underneath the flakey pie dough (leftover of course from holiday baking) are layers of turkey and gravy and mashed potatoes and stuffing. A sweet layer of cranberry sauce is under there too and adds a perfect tart balance to those rich and savory flavors. When you slice into the pie, you get a bite of each and every Thanksgiving dinner plate. Watch the video below to see how it comes together! 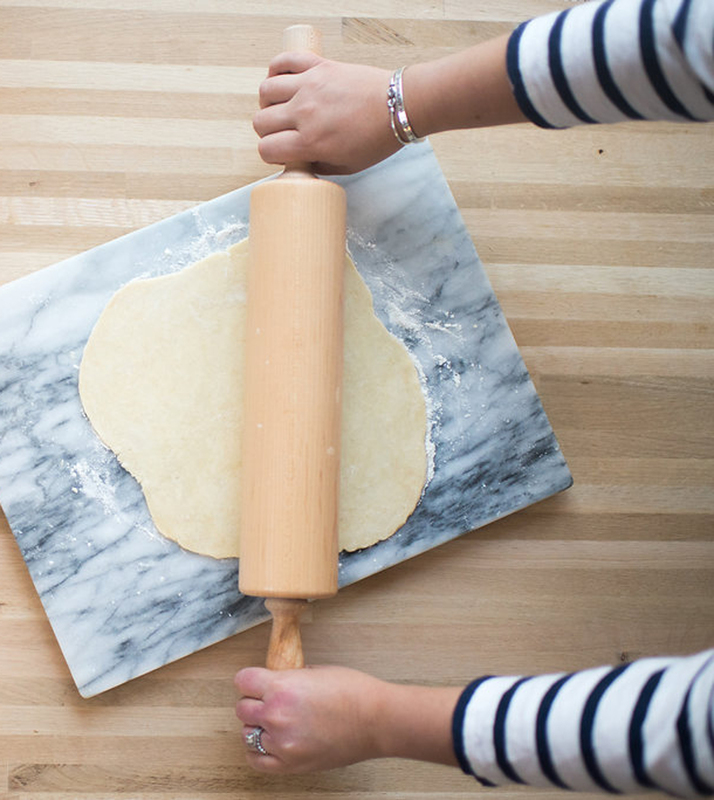 Roll out pie dough in a 9” rimmed pie dish. Fill the bottom of the dish with leftover turkey, and cover with half of the gravy. Layer on the mashed potatoes and top with the remaining gravy. 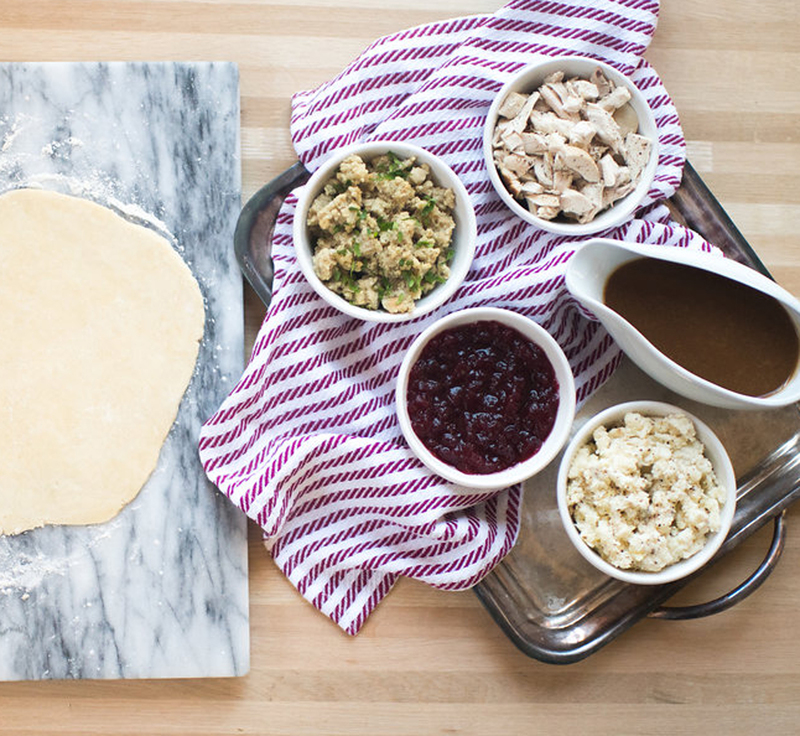 Add a layer of leftover stuffing, and top with cranberry sauce. Use remaining pie dough to close the pie, pinching the edges and slicing a few steam holes in the top. Bake for at 350 degrees for 25-35 minutes, until the crust is golden brown. Serve hot with extra gravy. PS: Looking for more ways to get in the holiday spirit? How about by giving back? Now through the end of November, Peapod wants to spread the word on hunger awareness and give back to Feeding America. Peapod is asking parents to submit videos of kids volunteering or fundraising for Feeding America. For every video submitted, Peapod will donate $100 to Feeding America and another $100 to a nonprofit of their choice. Get more information here. How to Fry a Thanksgiving Turkey. Cranberry-Ginger Punch and Cranberry Baked Brie.